Sloan’s new album, 12, is OUT NOW! It’s been a few years, but we Sloans finally have a new full length studio LP out today! It’s our 12th studio album, includes 12 songs and, joining the hollowed tradition of Led Zeppelin, Chicago and Lil’ Wayne, we’ve given our album the simple numerical title, 12. We’ve been in reissue mode for the past couple of years, so it feels good to have something new to share with you all. Thanks to all the folks who have pre-ordered the album, worn the watch and spread the good word about our new music. 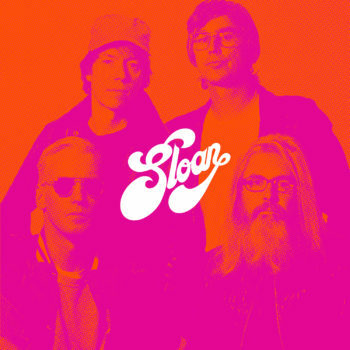 “Sloan Are Better Than the Beatles, and Prove It on ‘12′.” – Exclaim! Order your copy of Sloan 12 HERE! Find a full list of tour dates HERE! New Sloan Track From First Album in Four Years, Sloan 12! Watch Sloan talk about their new TWICE REMOVED Deluxe Vinyl Box Set + Order now at the Yep Roc Store.